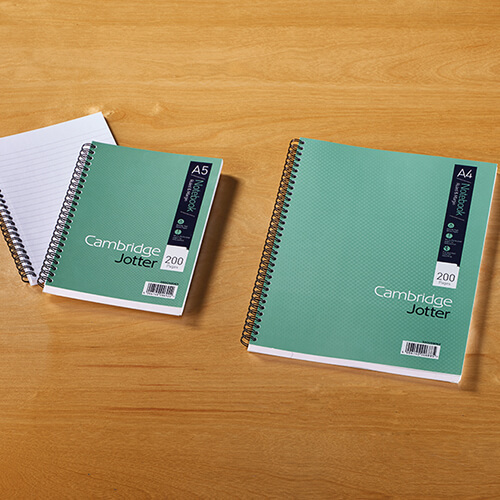 Cambridge is a trusted brand offering practical notebooks with a great balance of quality and value, available in three range variants. Cambridge Jotter, with high quality 80gsm paper and a metallic finish, is perfect for those important notes, drafts and meeting minutes in the office. 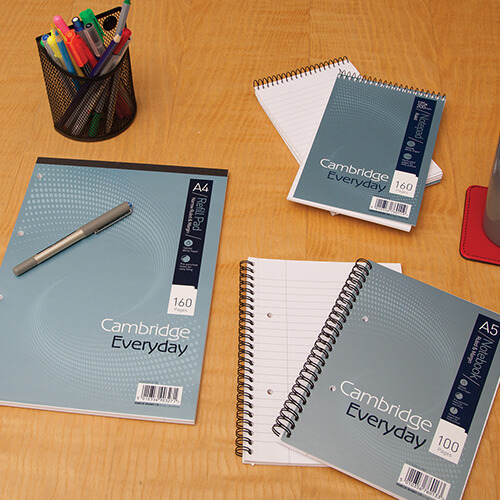 Cambridge Everyday delivers high value notebooks with its 70gsm paper, it is perfect for informal note-taking and everyday use. 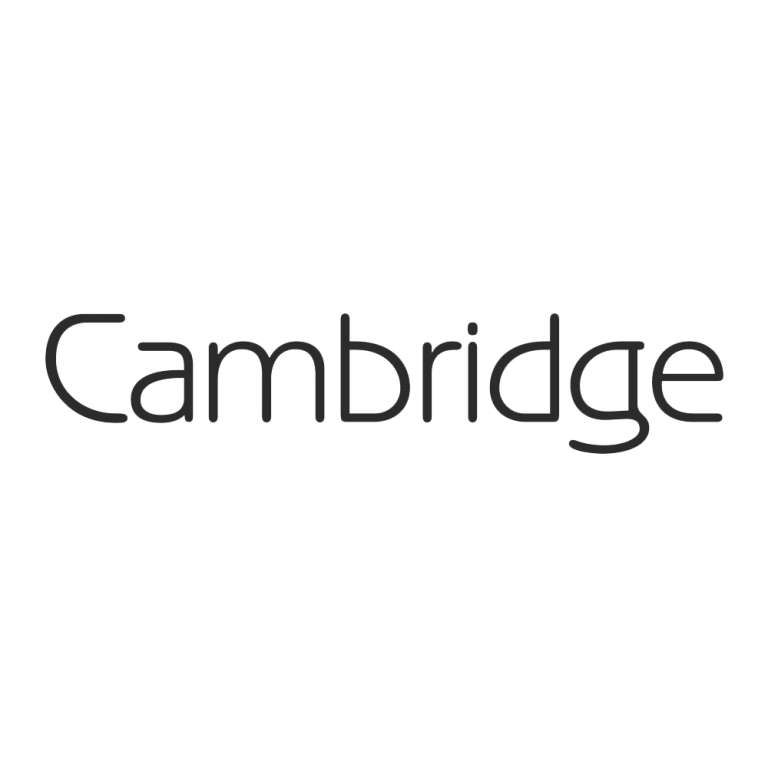 Cambridge Recycled delivers 100% recycled functional paper products, with 70gsm paper, making it ideal for the environmentally conscience day to day use in the office. The range also includes legal and memo pads as well as counsel’s notebooks.